Good afternoon everyone, we are here today celebrating 95 years of work for the missions, this work was initially started by a young girl from Enniskillen, who cam to work in Belfast in 1903. 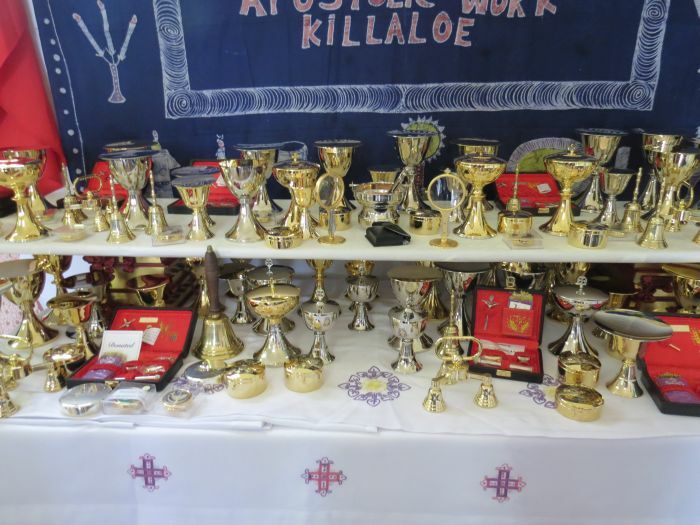 Agnes McAuley this young girl, had great faith and devotion to Our Lady, she then met a missionary priest, who was looking for vestments for the missions, she gathered some money from friends and Sisters of Mercy made the vestments. 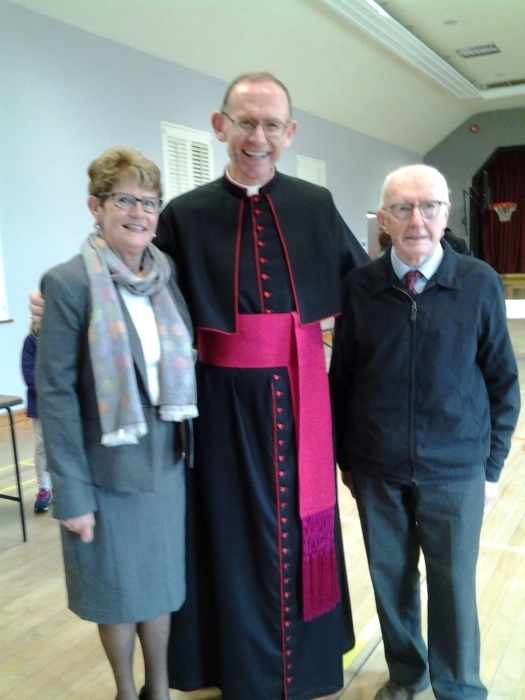 She then enquired as to the needs of the missions, she at this time was friendly with Father Crossan, who asked the Bishop if he would allow some young girls to form a group, to help provide assistance by praying, and providing material goods, and hence Apostolic Work began. 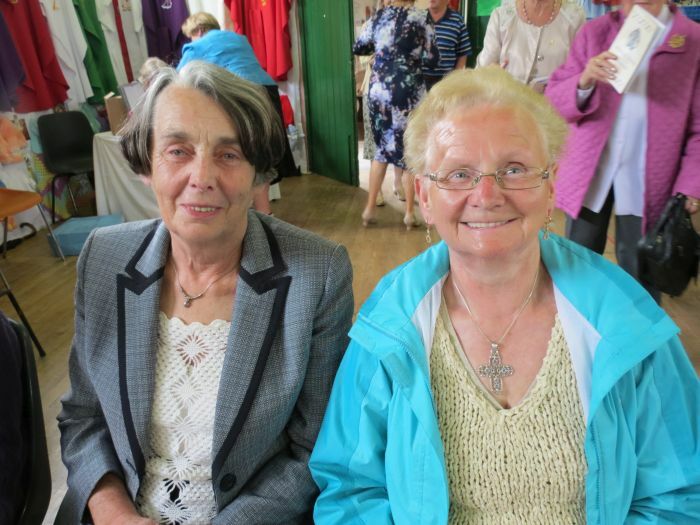 The first meeting was held in Lourdes Hall, ten girls were there, with Father Crossan as their spiritual director, over the next number of years, Agnes undertook promoting the sale of missionary magazines, as well as other forms of fundraising for the missions. This work evolved, and by 1924, there were branches established in Clonard, Ardoyne and Ballymena. In 1925, Agnes became ill, she offered her sufferings for the missions, and she died in December 1925, after having left the foundation stone of Apostolic Work, and for that we are so thankful, and we continue this work to this day. Mrs McCall, a lady from Belfast then took over after Agnes’s death, son after that a diocesan office was set up in Belfast, with twelve branches throughout the diocese. 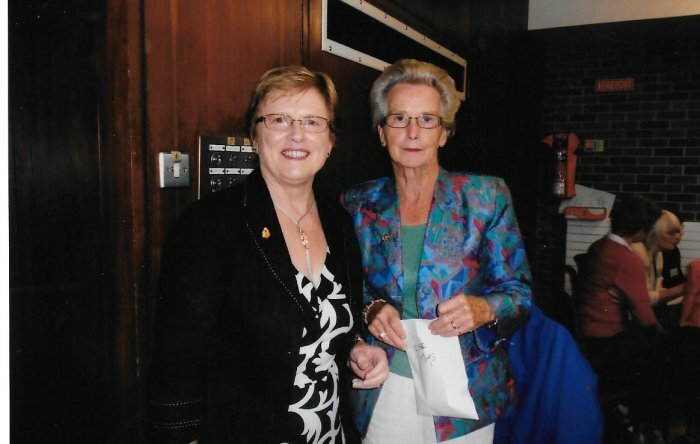 Mrs McCall’s daughter – Mary Nihill succeeded her, and during this time, the work began to spread all over Ireland, and by 1967, the first National Council meeting was held in Dublin. 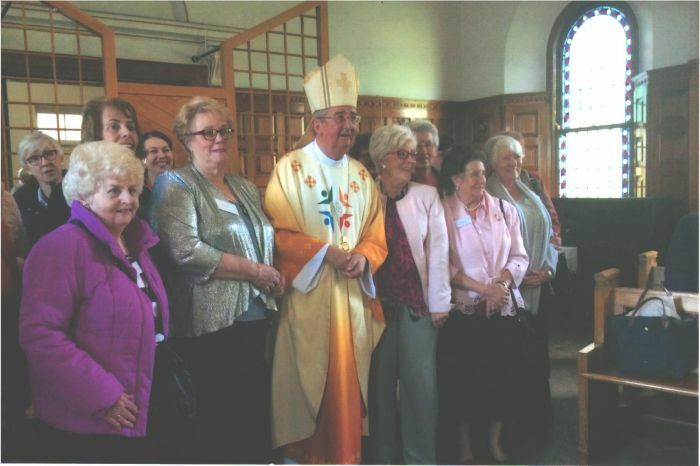 9 Dioceses throughout Ireland were represented, and Mary Nihill was the first National President. I feel so proud to be standing here today, celebrating this great occasion, especially as I am from Down and Connor where this all began. 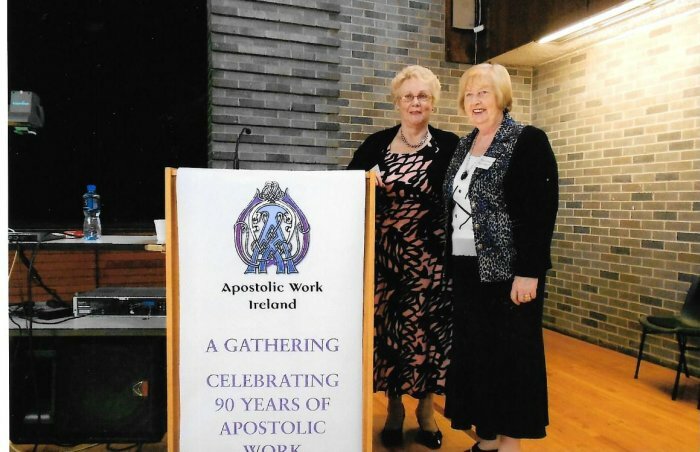 I myself have been in Apostolic Work for over sixty years, giving me the opportunity to meet so many dedicated and hardworking people from the branches., and also the priests and nuns I met through their challenging work from my experience at branch level, Down and Connor President and as your National President. This is my last official gathering with yourselves, I want to thank you for all your support, and I have thoroughly enjoyed my time in Apostolic, however that is not the end for me in Apostolic, I still partake in my local branch. Just recently, I have been selected as branch President, so my work though not in Belfast or Dublin, will continue in my home branch of Rasharkin. I hope Apostolic will continue to be successful for many years to come and wish you all well. I now want to take this opportunity to introduce the new Council, who will commence their role in June. Safe journey home, and God bless you. When Agnes McCauley set out to help the mission workers I am sure she had her fears and doubts. She was driven by her passion to help others. She had faith and prayed that she would succeed. 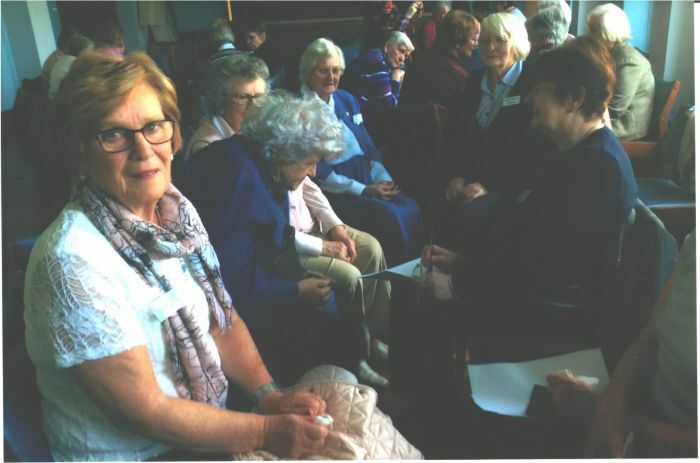 Looking at the number of people at our 95th Celebration I am sure Agnes never imagined that her small group in Belfast would grow to encompass the whole of Ireland. During the discussion groups Agnes’s passion for Apostolic Work could be felt in the room. The drive and enthusiasm she had was present in the room. One of the concerns in the discussion group was how to encourage new people to support our work. Agnes had this problem. She prayed and talked to everyone she knew and met. 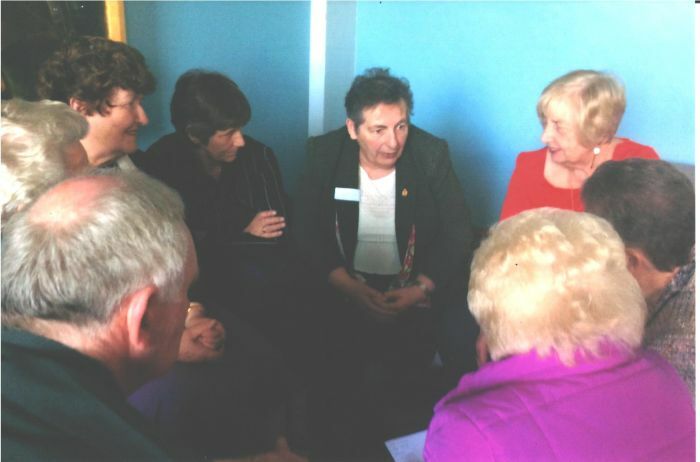 The consensus of the discussion group was that the personal contact with new people is the best to encourage them to help. 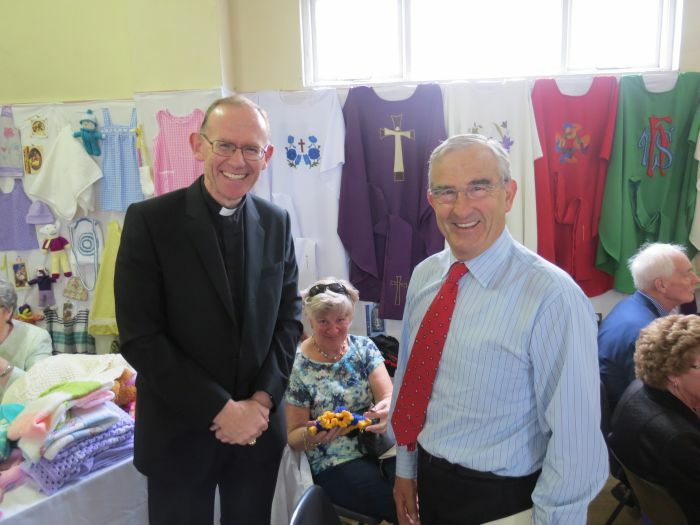 The displays of work help keep our parishioners aware of our work. The website, radio appeals, posters, leaflets and booklets of thanks also help to bring our work to the attention of others. All the other work, cake and plant sales, knitted chicks at Easter, breakfast morning, coffee mornings, poetry evenings, Church door collections, donating vestments and sacred vessels, taking part in races and relays and gift aid all help to bring in money to assist the missionaries as well as publicising our work. Another concern was the workload of some of the members. Due to sickness and family commitments some people are feeling they can’t give as much time to Apostolic Work. Agnes also had to stop working for Apostolic work due to illness. Some suggestions to help relieve the work load on individuals were to have two people sharing the work. Another was for neighbouring groups to join up and share the work. God has given us Faith and he sent the Holy Spirit to enlighten and guide us. Agnes and her followers had faith. Let us have faith for our future. 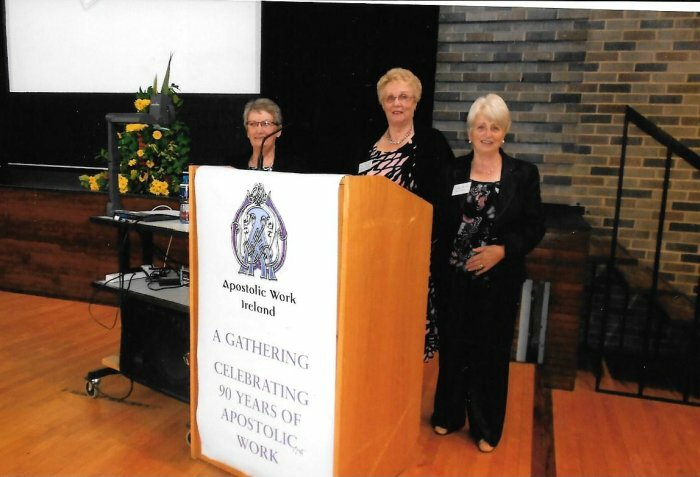 A conference was held in Holy Cross College, Dublin to celebrate 95 years of Apostolic Work in Ireland. Over 100 members were welcomed by Mrs Anne Donaghy, National President. The quest speaker was Mrs Sally Roddy, a lay missionary who has worked in Thailand and Ethiopia. Training or lay missionaries originated through the Legion of Mary. 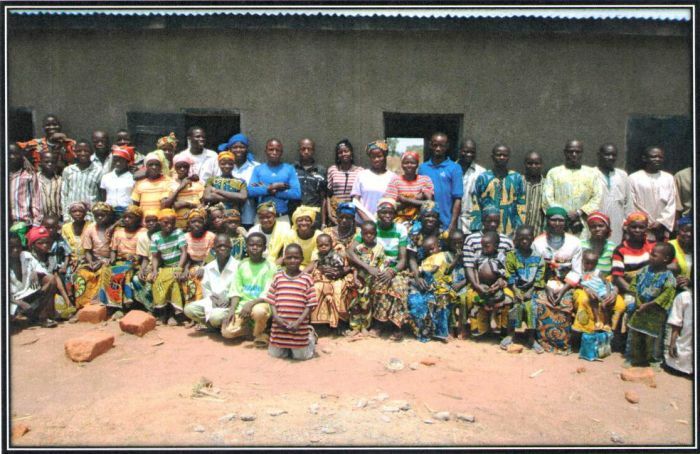 Volunteers attend a four-month training course which includes Spiritual and practical work. Sally taught in a school in Thailand and is aware of the creative skills of parents which can be channelled for the support of the community. Training groups have been set up to discuss marriage, family life etc. Her husband has joined her and is organising sources of fresh water. She reminded us of the appreciation practical and spiritual support bring to those the lay missionaries work with. We are all called to build the kingdom of God. Not just clergy and religious orders. 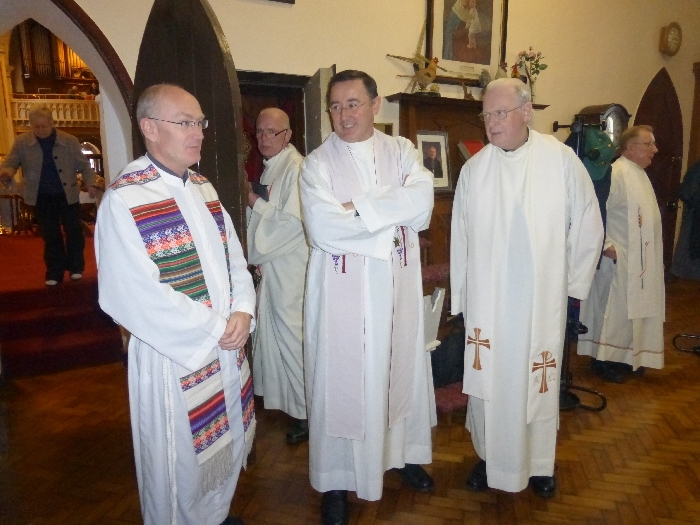 Mass was celebrated by Archbishop Diarmuid Martin. In his homily he reminded us to keep our faith in Christ in spite of the many adversities of life. He told us of two priests who were imprisoned in Auschwitz. The notorious prison in Poland where man, women and children were subjected to such inhuman treatment. The two priests persevered in offering Mass in secret – no vestments, chalice or unleavened breads, but a few drops of wine from somewhere, held in his hand. With a strong faith Apostolic Work will continue. 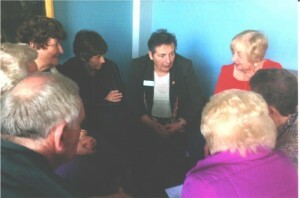 Group discussions in the afternoon referred to difficulties in recruiting new members. 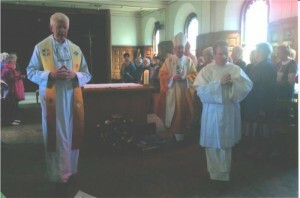 Display day could be more open and held after mass on a Sunday. 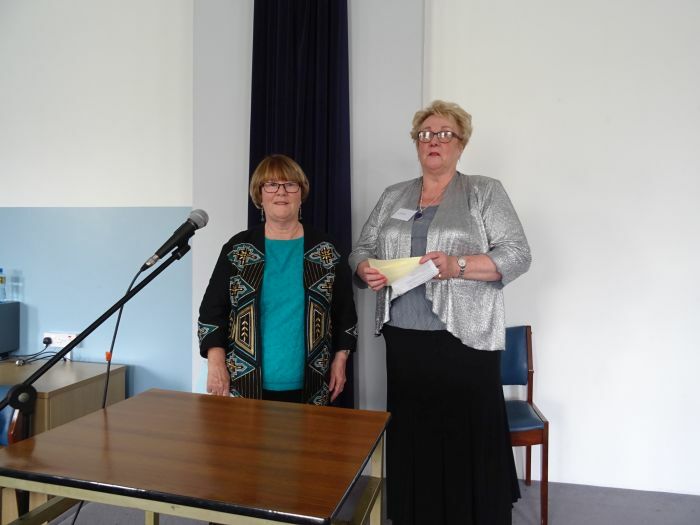 The conference was addressed by Anne Donaghy – National President. She thanked the college for providing facilities, for meeting during the year, and for the conference. Anne reminded us that one woman started what we now call Apostolic Work. 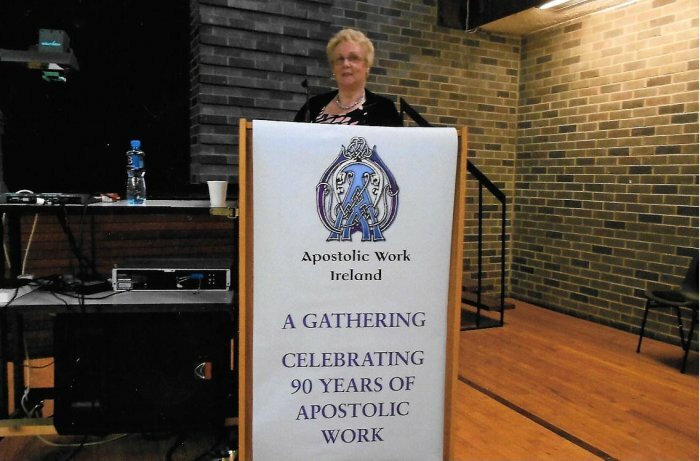 Mrs Donaghy outlined how the organisation started in Belfast in 1923, and emphasised how the aims of the Apostolic had not changed over this period of time. 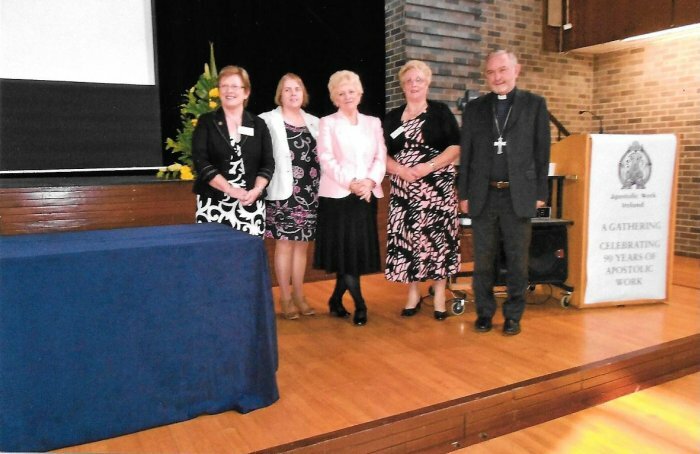 Mrs Donaghy then introduced the guest speakers, Baroness Nuala O’Loan and Bishop Leo O’Reilly.